The Witches Cradle is a source of power that opens up a portal to the Spirit realm. Maya Deren who worked with Curtis Harrington and Kenneth Anger did a movie called ” The Witches Cradle” 1944 with Marcel Duchamp who was a member of the Los Angelos coven. He is listed with the Los Angelos Church of Satan. Kenneth Anger formed Creative Film Associates In 1944, the Anglemyers moved to Hollywood to live with their grandmother, and Kenneth began attending Beverly Hills High School. It was here that he met Maxine Peterson, who had once been the stand-in for Shirley Temple, and he asked her, alongside another classmate and an old woman, to appear in his next film project, which he initially called Demigods but which was later retitledEscape Episode. Revolving partially around the occult, it was filmed in a “spooky old castle” in Hollywood and was subsequently screened at the Coronet TheatreAround this time, Anger also began attending the screenings of silent films held at Clara Grossman’s art gallery, through which he met a fellow filmmaker, Curtis Harrington, and together they formed Creative Film Associates (CFA). Harrington is said to have introduced Anger to the work of Aleister Crowley. Crowley’s philosophy of Thelema would exert a profound influence on the remainder of Anger’s career. CFA was founded to distribute experimental films or “underground films” such as those of Maya Deren, John and James Whitney, as well as Anger’s and Harrington’s. Maya Deren was into Voodoo and claimed she was a Voodoo princess. In environmentalism there is a huge link to the Pagan community through Pagan Earth Worship. The Mother Goddess, or Great Goddess, is a composite of various feminine deities from past and present world cultures, worshiped by modern Wicca and others broadly known as Neopagans. She is considered sometimes identified as a Triple Goddess, who takes the form of Maiden, Mother, and Crone archetypes. She is described as Mother Earth, Mother Nature, or the Creatress of all life. She is associated with the full moon and stars, the Earth, and the sea. 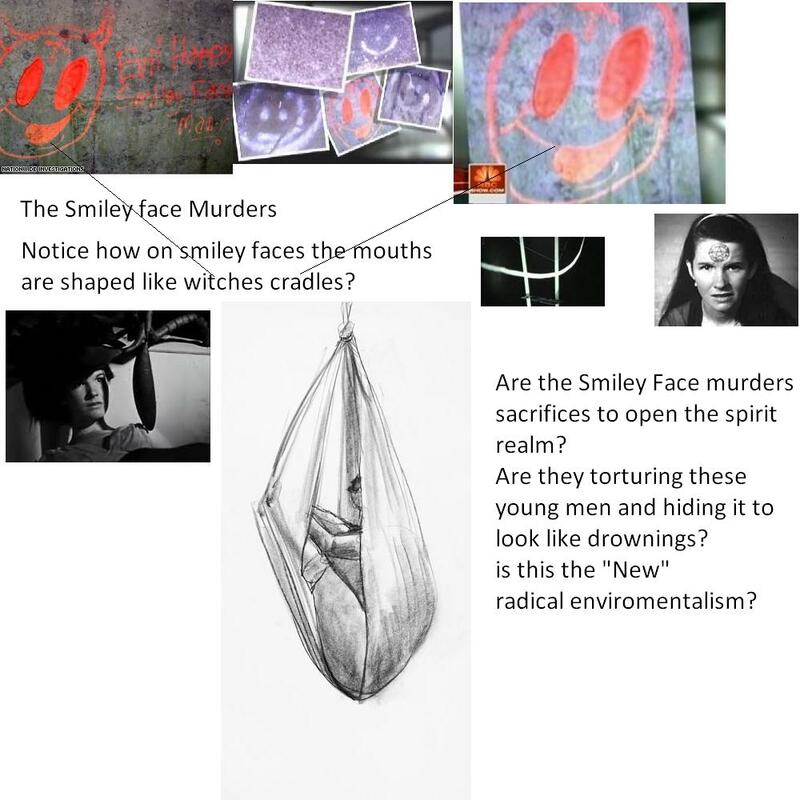 Are the Smiley Face murders a form of radical environmentalism Is who ever doing this casting spells? and creating openings to the spirit realm? In Moloch worship of the” Owl God” blood sacrifice is required.The Canaanite deity, Moloch, was worshiped in Greece, Babylon and later in Europe. It is normally symbolized by a bull or an owl, or some type of horned beast, and children, and older are sacrificed to it. 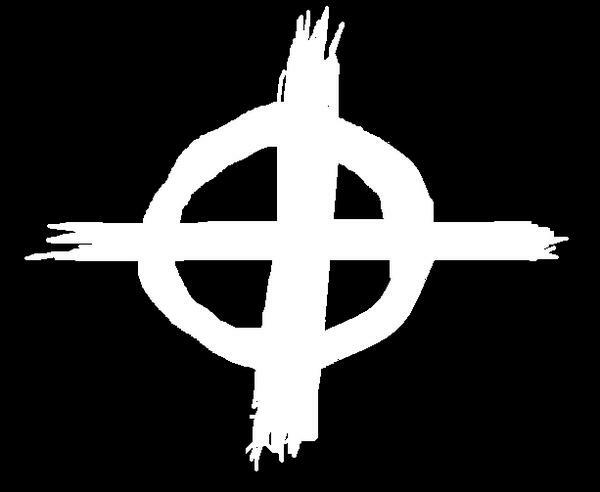 It is the precursor of all modern death cults. There also is a huge coincidence of water at the sites which is a part of the sacrifices. Are these innocent young men being killed because of being at the wrong place at the wrong time? Are they hiding this to look like drownings so they can get away with it?